The Aeolian Islands (also known as Lipari Islands) are located in the eastern part of the low Tyrrhenian, about 40 km from the Sicilian coast. The archipelago consists of seven inhabited islands, surrounded by numerous cliffs and islets creating very impressive landscapes and views. 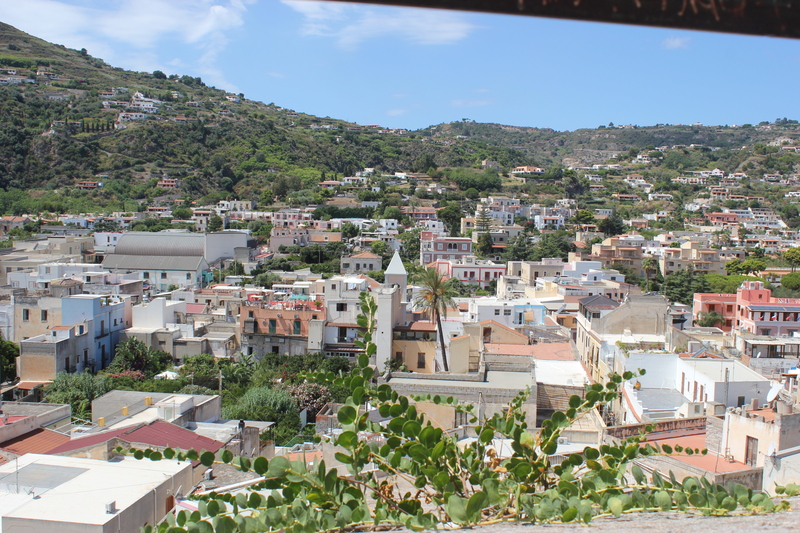 The biggest is Lipari; then, in descending order by surface, Salina (the highest), Volcano, Stomboli, Filicudi, Alicudi and Panarea. 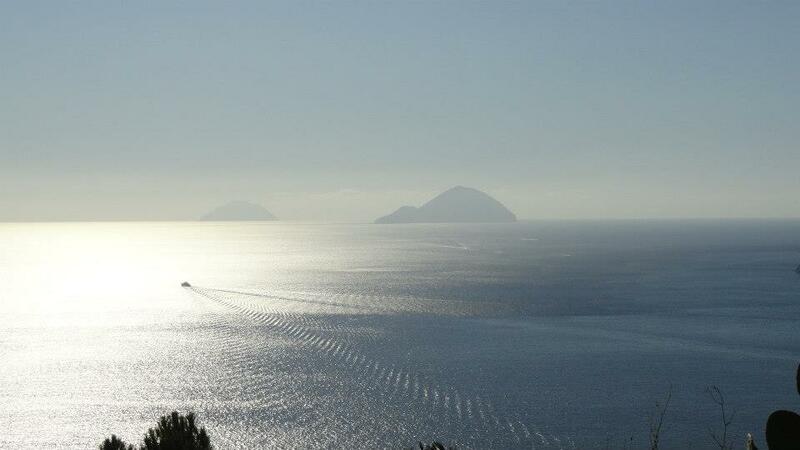 The islands, declared World Heritage by Unesco in 2000, are all of volcanic origin and rise from a depth of about 2,000 m; All of them have cones with clear traits, except Panarea and its islets that are probably the emerging part of a single volcanic relief almost completely submerged. Only two are the still active craters: Volcano, which after the last eruption of 1888-1890 is a permanent phase of solfatara with remarkable gas excursions; and Stromboli, which is a continuous, moderate explosive activity with periodic lava eruptions pouring along the sciara del Fuoco. The climate is characterized by a mild winter with few atmospheric precipitation but dominated by impetuous winds, mainly winding from the west and a long dry summer. The thermal excursion throughout the year is moderate. The landscape is marked by a series of terraces, a system for creating plains where they do not exist, alternating with uncontaminated nature marked by rugged slopes, dotted wonders, narrow oasis of plains. The vegetation is the shrub type of the Mediterranean scrub. 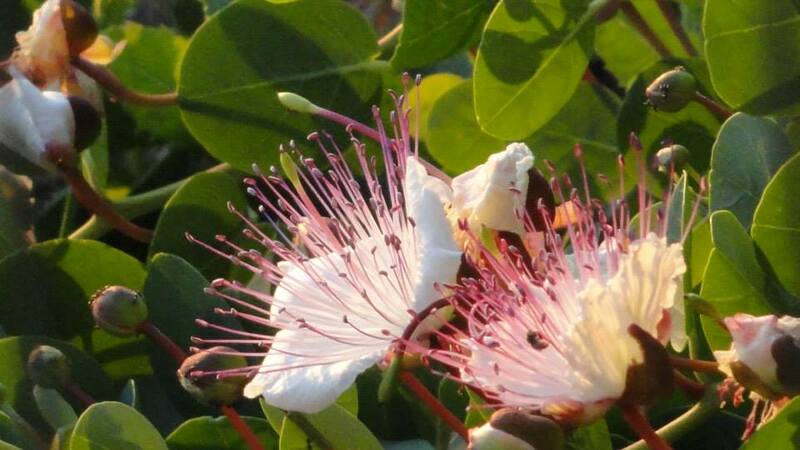 Few crops are still cultivated, only the vine (Malvasia) and the caper, which, exported, have a small contribution to the island economy. Among the fruiting varieties stands the indian fig-tree (ficodindia) that marks the distinctive appearance of the plant landscape. Wildlife - pour in terms of exemplary species - it is made up of migratory birds. 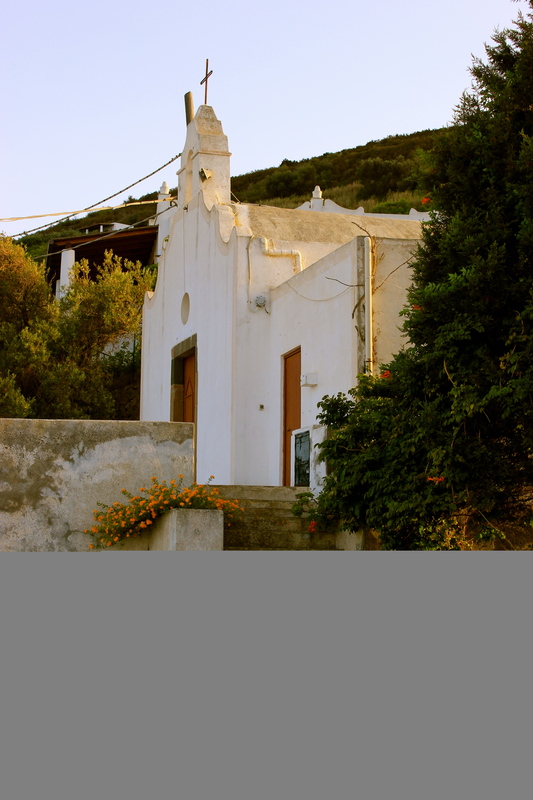 Filicudi, Volcano and Salina are home to many wild rabbits. Numerous beetles, of the species common to this type of vegetation, inhabit the spot which is also the favorite habitat of lizards and other small saurian. But it is the sea from the shady waters and the shining backdrops, which offers the greatest interest to the modern naturalist for the wide variety of animal and plant species that populate it. The only industrial activity of the islands was that of the pumice extraction, which was abandoned for environmental reasons. The few agricultural products are intended for domestic consumption, except for malvasia and capers that, salted, are sold on other markets. 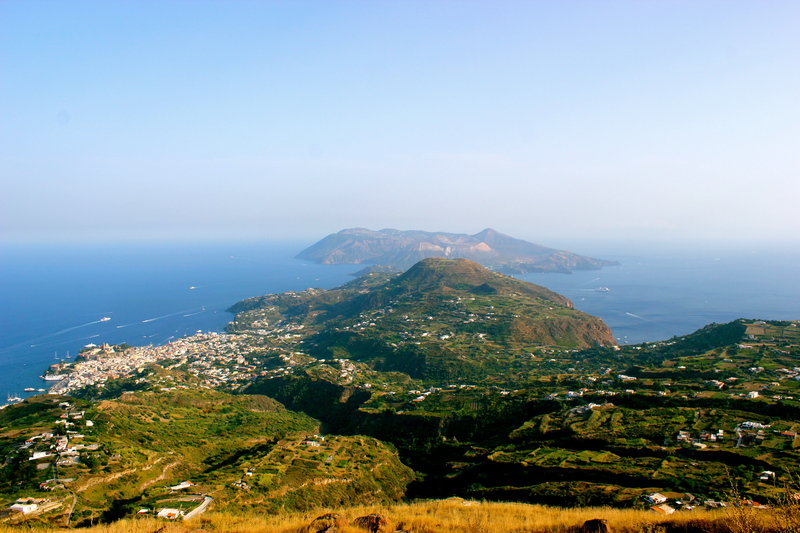 Lipari is the largest (37.6 km2) and the most populous of the archipelago: it measures 9.5 km from Punta Legno Nero (N) to Punta Crapazza (S), and about 7 km from Punta Cugno Lungo (O) to the extreme propagation of Monte Rosa (E). 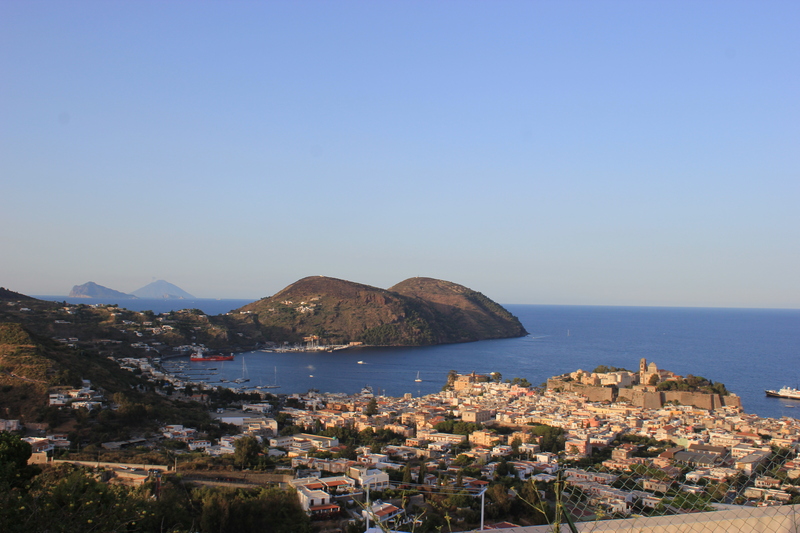 According to the tradition handed down by Callimaco (3rd century BC) Meligunis, from the obscure etymology, was the name with which Lipari was known, even before its name (Lipara), still presumably retained by Liparo , the first mythical king of the island. 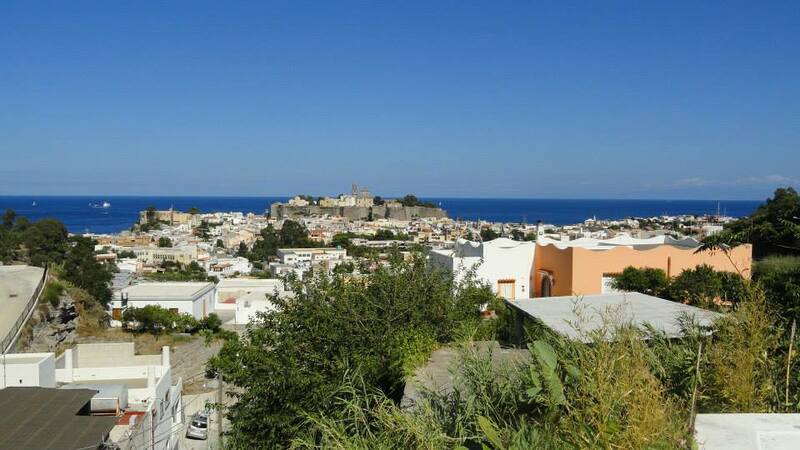 The urban structure of Lipari is topped by the fortress of the Castle, exemplary of a natural fortress. For this reason its flat top was home to the main inhabited area in the Aeolian from the Neolithic to the end of the Bronze Age. 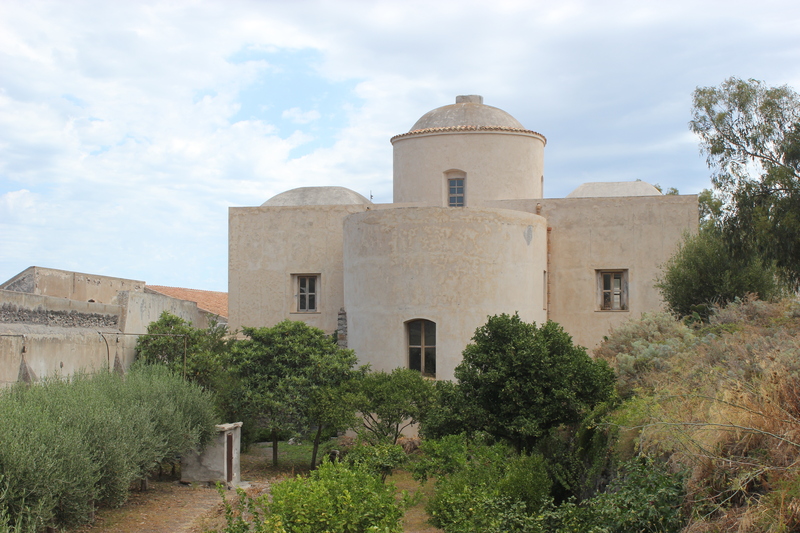 It was then the acropolis of Greek Lipari and the nucleus of the original Roman city, as well as the town's fortified city from the Middle Ages to the 18th century. The excavations carried out, from 1946 onwards, by the Superintendence to the Antiquities have turned it into an archaeological field of great fascination, enriched by the creation of the important Archaeological Museum that collects the finds found in the Aeolian and in the area of Milazzo. 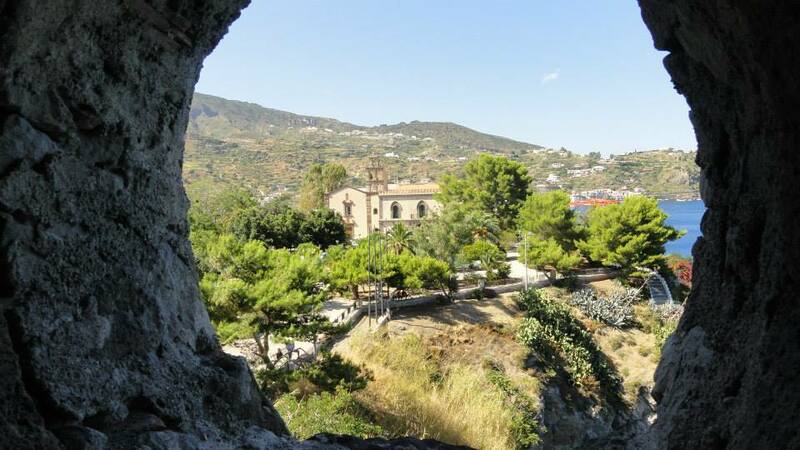 Leave the center of Lipari from the north and drive along the Marina Lunga; after about 5 km you reach Canneto, a fraction lined up along a cove at the foot of the obsidian's flow of Forgia Vecchia. The road continues along the coast, through Campo Bianco: the landscape of pumice quarries is of reverberant unreality. Through two short tunnels you reach Porticello, already the center of industrial activity linked to the extraction of pumice, nowadays dismantled. Overtaking Castagna point comes, km 11.8, to Acquacalda, once isolate polo of mining and pumice processing. 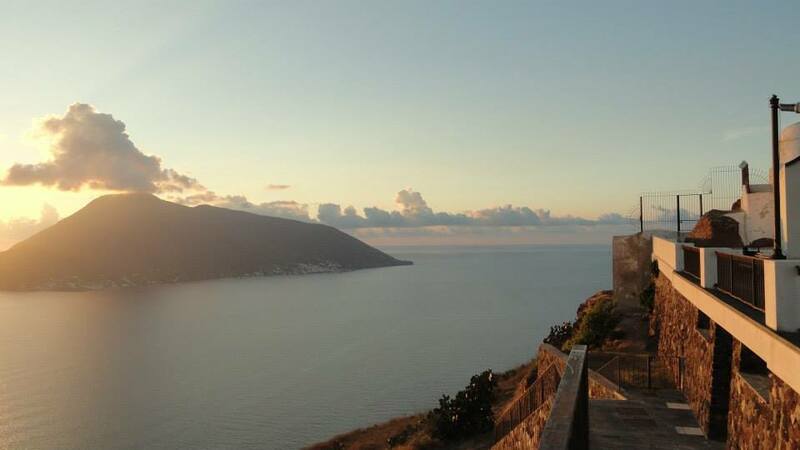 The road abandons the coast and rises, km 17, to Quattropani: here the view of the Salina island is beautiful, especially from the Chiesa Vecchia sanctuary, built at the end of the 17th century in a parsimonious rural style, which is reachable with a short deviation (about 1.5 km) taking to the left. The road goes along the highland, cultivated with vineyards; it goes beyond Varesana di Sopra, and then, 22.5 km, arrives at Piano Conte, the agricultural center of the island. Just outside the buit-up area, on the right is a shift (about 2 km) for the San Calogero Baths: The establishment, erected in 1867, after a long abandonment and restoration, is now again being used by visitors. Near the entrance of the Thermae, during the work, have been brought to light a tholos and part of the canalization that convey the water to the bath. The reconstructed ceramic fragments allow to retract to about 3500 BC the first use of the building for thermal purposes. 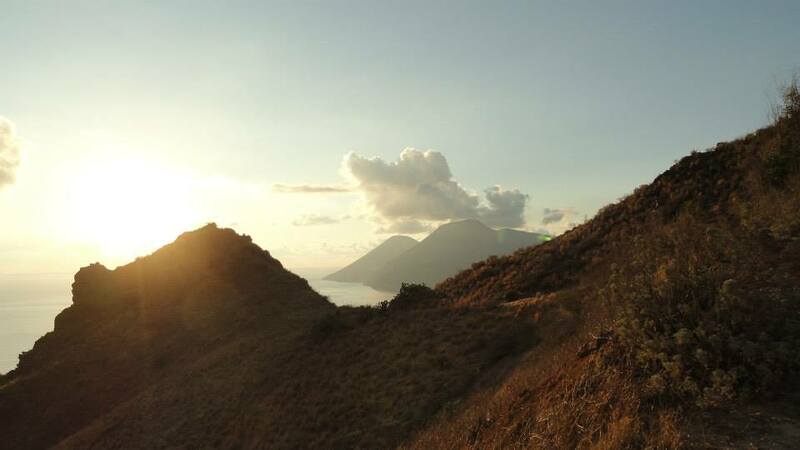 You come back on the road and after about 1 km you will find the Quattrocchi lookout point: exceptional views of the rugged west coast, the Faraglioni, the Vulcano island and the Sicilian coastline. 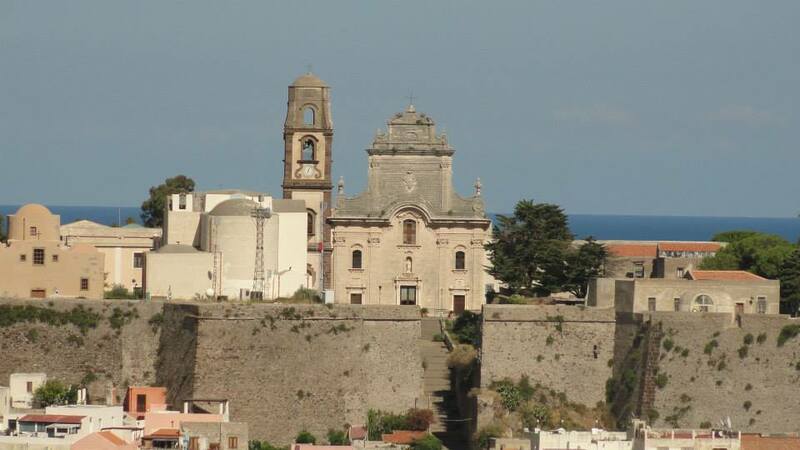 Just over a mile from the lookout point, on the left, the eighteenth-century church of the Annunciation; continuing back to Lipari from the west. Just before reaching Canneto from Lipari, turn left for Pirrera, which is about 2 km away: Left the car, continue on foot and turn right after the church of Pirrera and cross the cemetery from the west; in 15 minutes you reach the summit (300 m) of the Forgia Vecchia, obsidiana flow produced by an eruption occurred in the High Middle Ages. 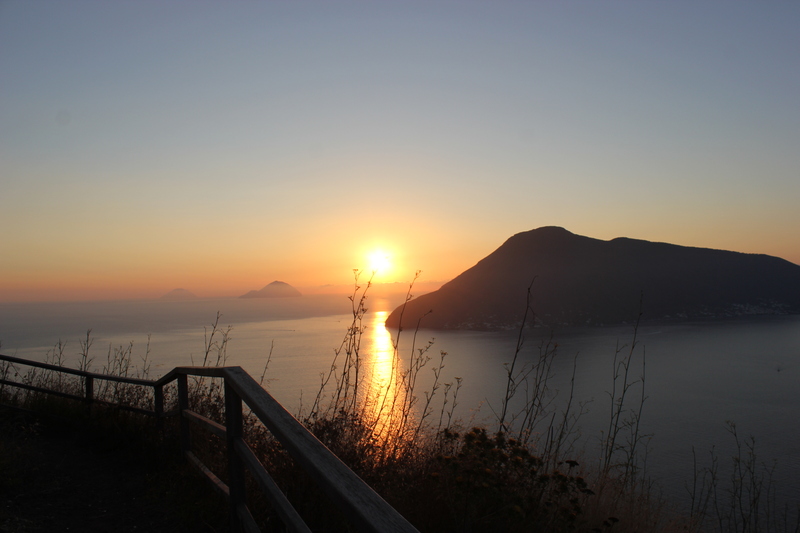 From the town of Lipari a branch to S reaches the volcanological observatory in the hamlet of San Salvatore in location "Semaforo". From there a pedestrian path offers magnificent glimpses over the Vulcano’s canal. Great landscaping interest for the great variety and beauty of particulars. 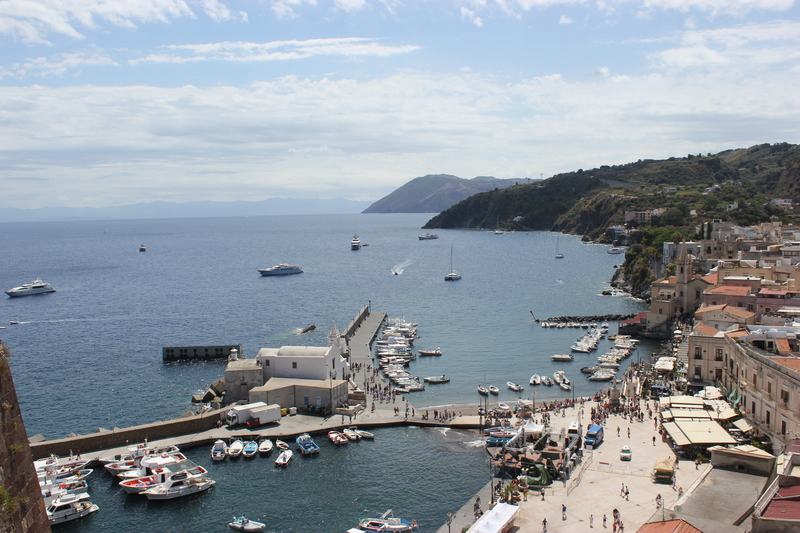 Exit from the Port of Sottomonastero, turn towards S the promontory of the Castle, crossing in front of Marina Corta. From the church of S. Giuseppe to the Punta Crapazza, the S end of Lipari, 800 m away from Vulcano, begins the most spectacular and fascinating stretch of the coast of the island: to the beautiful beach of Vinci, closed to the west by a promontory in front of which the great and beautiful rocks of Pietralunga, Pietra Menalda and the Brigghio, tall and thin like an obelisk, follow the point of the Perciato, layered and perforated block placed in a single group of Faraglione's great spectacularity and a little more off the Formiche, a small archipelago of rocks. Follow the coast below M. Guardia and the wide creek from the inviting gravel beach of Valle Muria. 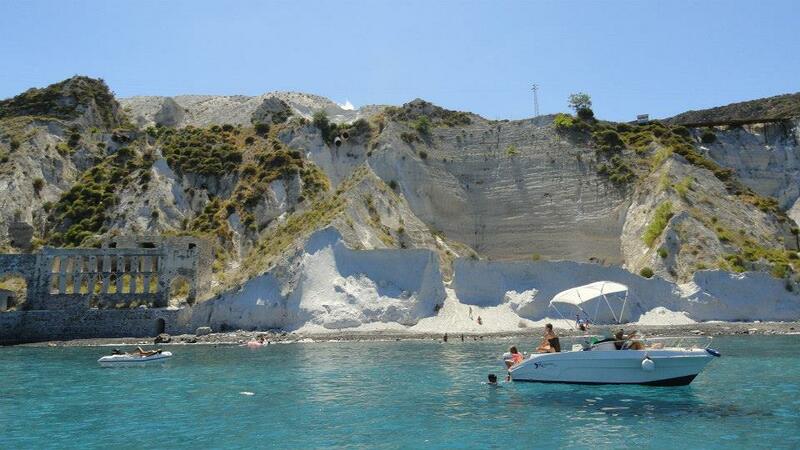 Then a stretch of coast looking south, enriched by innumerable small rocks, which continues beyond the Grotticelle point at the beach that precedes the tip of the Fontanelle; in front of the valley of the Baths of S. Calogero is the great rock of the Bagno. Under mount Mazzacaruso there are three cozy coves of singular beauty: the Fico cove, the one protected by N from Punta Cugno Lungo, the extreme western layer of the island, and the one ending with Punta Palmeto. Then to Punta Legno Nero begins the narrow, pebbly beach of Acquacalda. The landscape between the Castagna promontory, where the obscure fall of the Rocche Rosse connects with the sea, and Capo Rosso, while preserving the charm of what was one of the most striking volcanic landscapes in the Mediterranean today, shows signs of a frightening and irreparable environmental degradation caused by the quarries and discharges of pumice industry. Beyond Capo Rosso opens the wide bay along which Canneto stretches, between the beach and the obsidian's flow of Forgia Vecchia. After the great promontory of Mount Rosa, after the port of Pignataro and the beach of Marina Lunga, we return to Sottomonastero.